The silver stamp cases began to be produced toward the end of 19th century using gold, silver and wood. 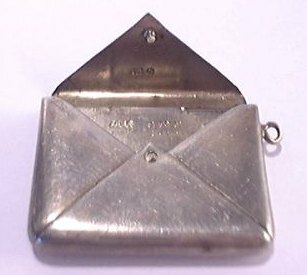 Some of the earliest British stamp boxes date from the 1880s, when the silver stamp case came into regular production. 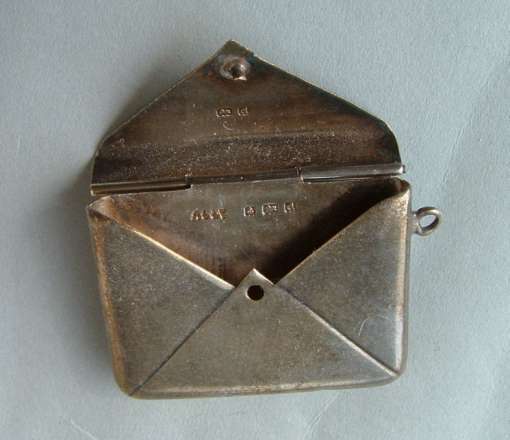 In 1888, James Allen of Birmingham registered a pocket letter scales/stamp holder, which he made in silver and brass. Production of stamp cases offered a wide array of combination with one, two, three and occasionally four different compartments; one for matches, one for a striker and a third compartment which could be used as a stamp dispenser. 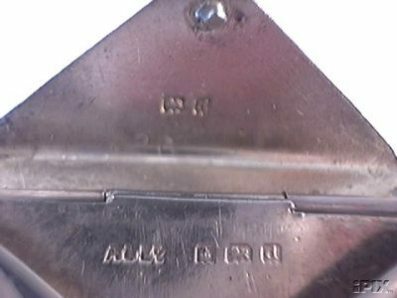 Compartments had often a sloping base to aid the extraction of stamps and few examples were fitted with flat sprung dispensers. 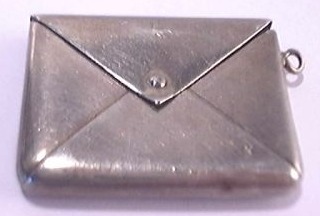 This stamp case has the shape of an envelope and was manufactured in Blrmingham by silversmith AL Ld on 1903..